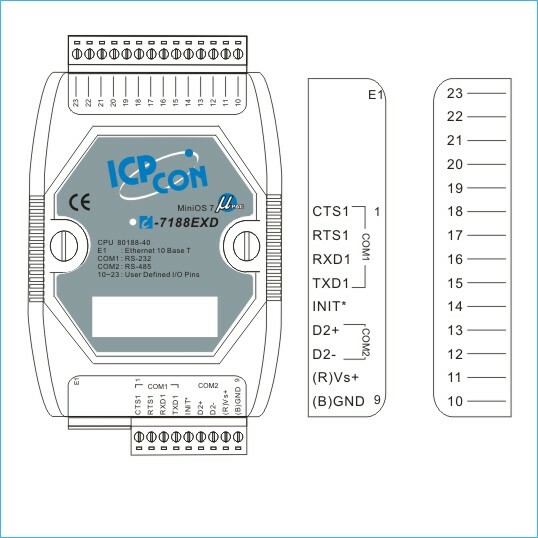 I-7188EX-MTCP | Embedded controller developing tool kit, 512K bytes flash, 512K bytes SRAM and MiniOS7. Communicable over RS-485, RS-232, supports operating temperatures from -25°C to +75°C (-13F ~ 167F). Embedded controller developing tool kit, 512K bytes flash, 512K bytes SRAM and MiniOS7. Communicable over RS-485, RS-232, supports operating temperatures from -25°C to +75°C (-13F ~ 167F). "Embedded Internet" and "Embedded Ethernet" are hot topics today. Nowadays the Ethernet protocol becomes the de-facto standard for local area network. Via Internet, connectivity is occurring everywhere, from home appliances to vending machines to testing equipment to UPS…etc. 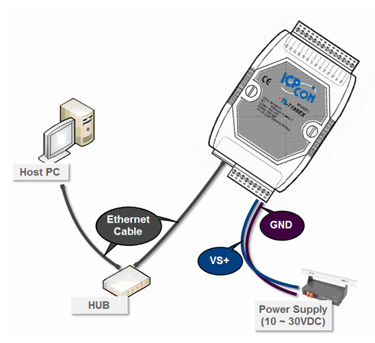 Many embedded designers now face dilemma of adding Ethernet interface to their products, either for use with local networks or for connecting to the Internet. Solutions to this problem include both hardware and software. Connecting via Ethernet requires a software protocol called TCP/IP. The installed base of Ethernet networks is huge and growing. Most office building, factories, and new homes have installed Ethernet network. With Ethernet, the network is always available. Using Ethernet for network in industrial area is appealing because the required cabling is already installed. The I-7188EX is powered by 80188-40 processor with 512K bytes of static RAM, and 512K bytes of Flash memory. 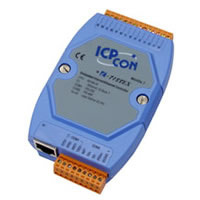 One serial RS-232 port and one RS-485 port are provided. Ethernet support is provided by a NE-2000 compatible controller with 16K bytes of on-chip buffer memory and 10Base-T media interface. 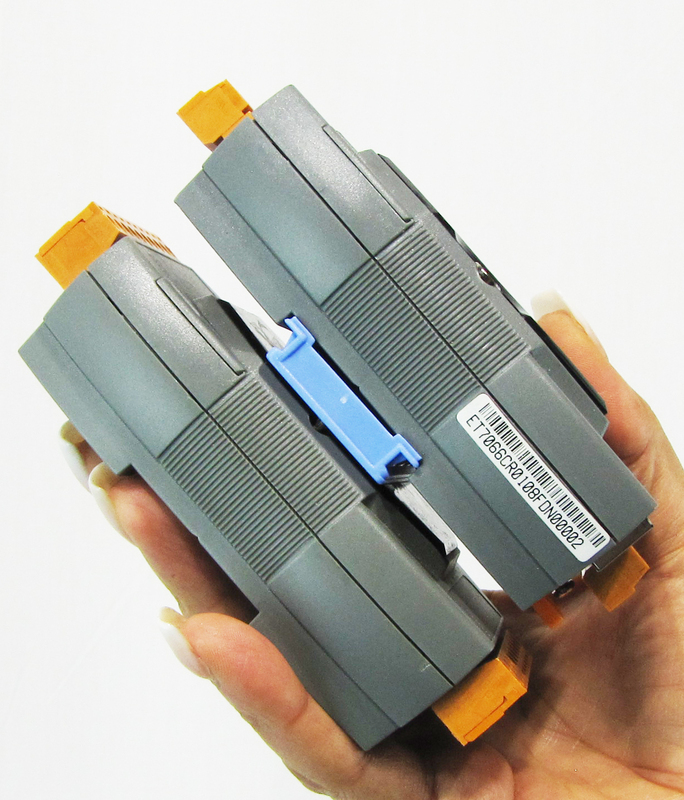 The I-7188EX also provides 14 user defined I/O lines. 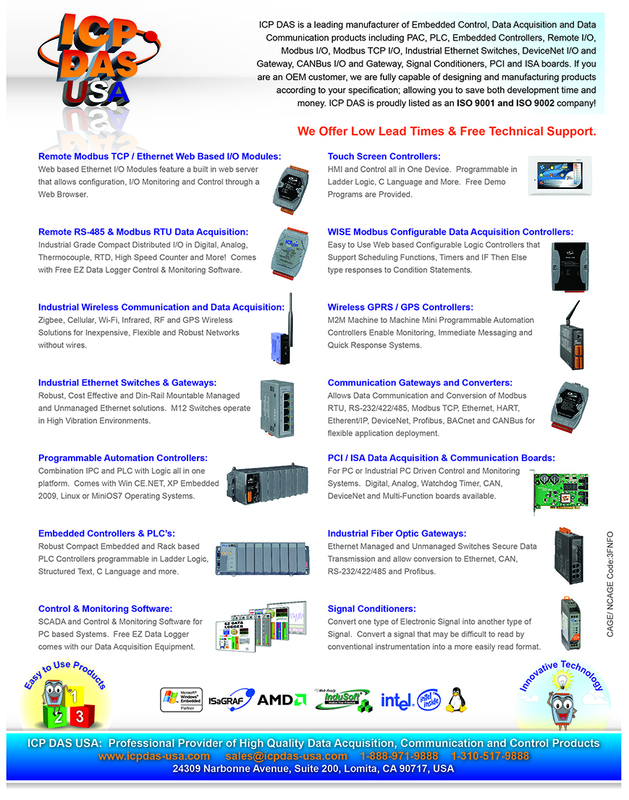 A cost-effective I/O expansion board with A/D, D/A, relay drivers and protected inputs is available. The I-7188EX also supports battery back-up SRAM disk board and Flash-Rom board, providing non-volatile mass storage from 2 megabytes to 64 megabytes. The 10BASE-T port is equipped with a RJ-45 connector. The 10BASE-T interface supports max. 100-meter Cable length between I-7188EX and the network hub.